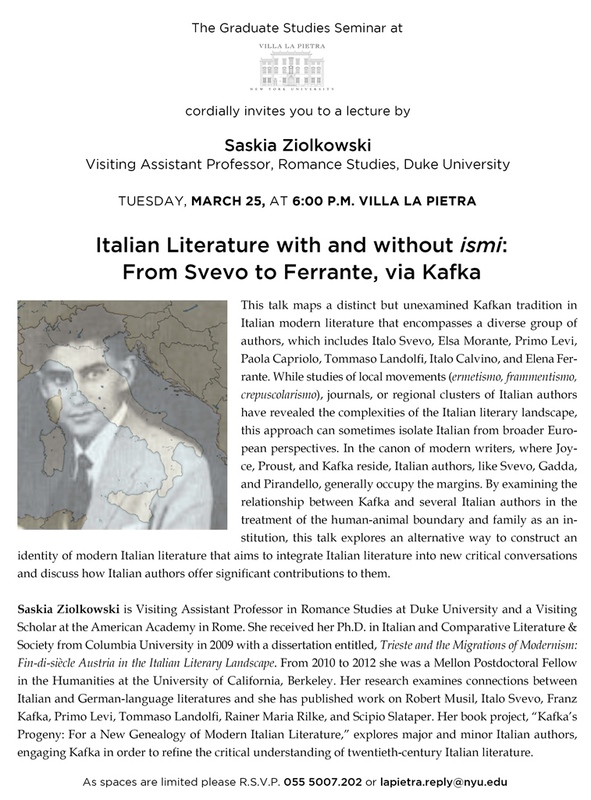 “Italian Literature with and without ismi: From Svevo to Ferrante, via Kafka,” for the Graduate Studies Seminar at Villa La Pietra, New York University’s Florence campus, March 25th, 2014, upcoming. This entry was posted in Presentations by SEZ. Bookmark the permalink.